This handy cable allows control/programming of your Yaesu FTM-350 transceiver by your computer. Equivalent to Yaesu CT-142 cable + FTDI USB to serial adapter. One end of the cable has an 8 pin mini-DIN plug which connects to the Data socket on the radio. The other end has a USB plug which connects to the PC's USB port. The cable contains a USB to serial converter, so the radio appears as a COM port on the PC. Length approx 1m/3ft 3ins. 32 and 64 bit operating systems are both supported. 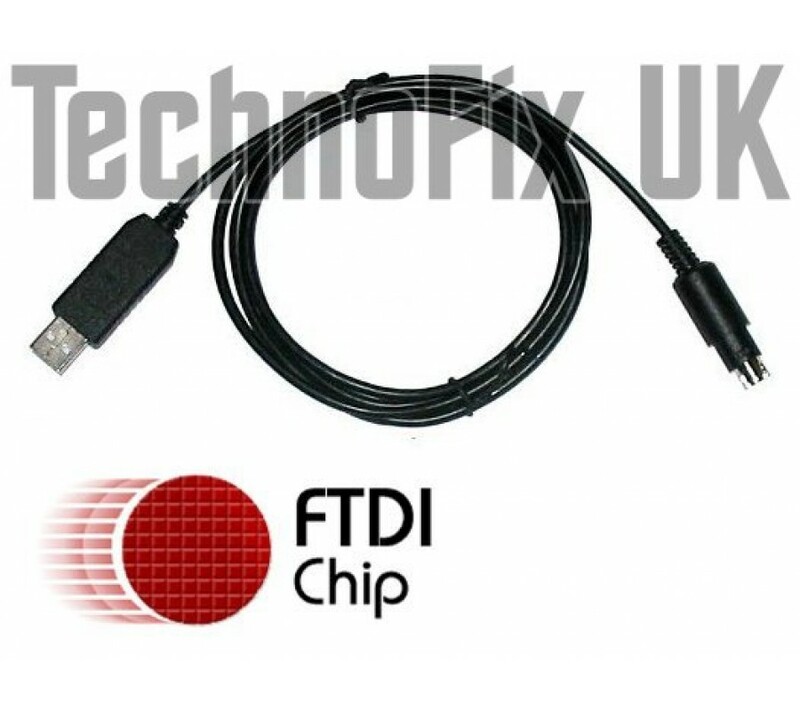 The FTDI chip is the only one that will work with the FTM-350 as the programming software uses an unusual baud rate that most USB to serial chips cannot generate. Drivers and installation instructions on CD included. 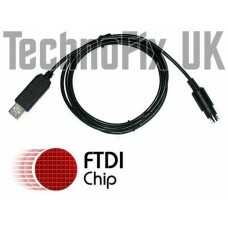 Latest drivers are also available from FTDI here. Driver installation guides are here.